Iris: Snrk… What is that accent? Tigress: Yeah, I hear it too! She sounds… off. Just a bit… human-ish. Iris: Oh, I see. You’re a domesticated keidran. Iris: Hun, your scent reeks of human. Clearly you’re still someone’s pet. Flora: I’m not a pet!! 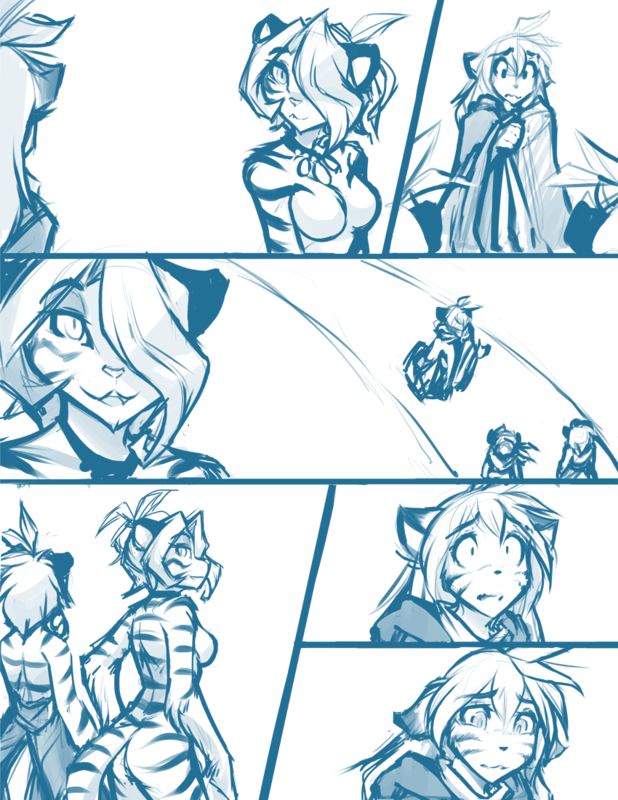 Tigress: Don’t be mean, Iris! Iris: No offense! I think it’s adorable you still feel like part of the tribe. Hold on to that, sweetie. But I’m afraid we don’t have time to humor you. Your masters have important business with us real tigers right now.